One of our 300+bhp 3.9l Rover V8s, with quad dual downdraught carbs and our Stage I heads. 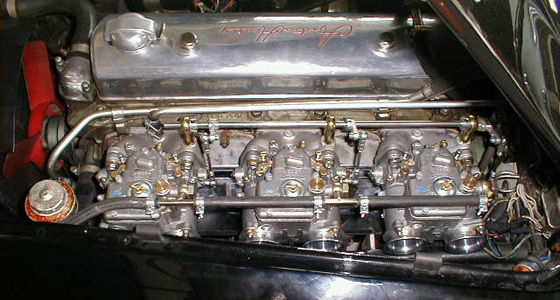 1967 Austin Healey 3000 MK III was hugely improved by fitting a trio of dual Webers. Classic Wheels Berlin offer a comprehensive engine tuning service. We know all the tricks to best extract the maximum horsepower from your motor vehicle. In particular we specialise in tuning MG and Triumph engines. A full and comprehensive list of engine tuning services will be available here shortly.